The 2016 Para World Sailing Championships came to a breathtaking finale in Medemblik, the Netherlands as the final race of the championships decided the medals at 3.45 a.m. Australian time this morning, Sunday May 29th, and Saturday May 28th at Medemblik. Defending World Champions Pittwater sailors Daniel Fitzgibbon and Liesl Tesch secured Bronze in the SKUD18, while Amethyst Barnbrook and Brett Pearce finished sixth overall in the same class. With Poland's Gibes and Cichocki out in front on the leader board, there was still a fight for the silver and bronze medals. Great Britain's Alexandra Rickham and Niki Birrell took the silver medal following a lengthy protest hearing that involved their medal rivals, Daniel Fitzgibbon and Liesl Tesch. Initially taking two bullets, the Australian's thought they had secured silver, but after a protest from the first race of the day they had one wiped off which promoted the Britons into first place in that race and in turn cemented the silver medal for Rickham and Birrell despite Dan and Liesl securing 1st in the last race of the final day. Daniel and Liesl have had a tough week; Day one (Wednesday May 25th)after winning the first race, the pair had a technical issue in the second race of the day, crossing the finish line in seventh place and finishing third overall. On Day Two they were called ‘on course side’ at the start of the final race, picking up maximum points on their scorecard. This followed an eighth placing in the first race of the day, which slipped the pair back to seventh overall. The third day of racing at the Delta Lloyd Regatta, incorporating the Para World Sailing Championships, the sun came out and so did Dan and Liesl, securing a first and a second in their two races. With the drop now in play, they moved up into second overall. “It’s amazingly exciting,” said Tesch at the conclusion of Day three racing. “It’s good to see how tight the fleet is getting. The start is getting messy, which is very challenging. Today we dug deep - it's quite exciting to come back after a few disasters. We learn a lot when we lose and we have a lot to improve on when we win. 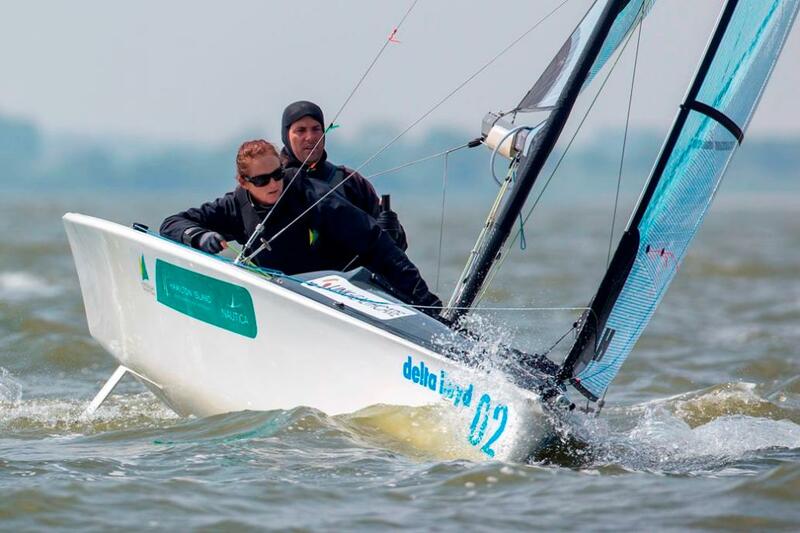 The penultimate day of the 2016 Delta Lloyd Regatta and the 2016 Para Sailing World Championships in Medemblik brought the best conditions of the week with an onshore breeze building through the day to 12-16 knots. Daniel Fitzgibbon and Liesl Tesch stayed second overall after a second and a third in their two races. The other prize on offer was Rio 2016 Paralympic selection and Fitzgibbon and Tesch will have done their selection chances no harm by taking home a bronze medal from the championships. 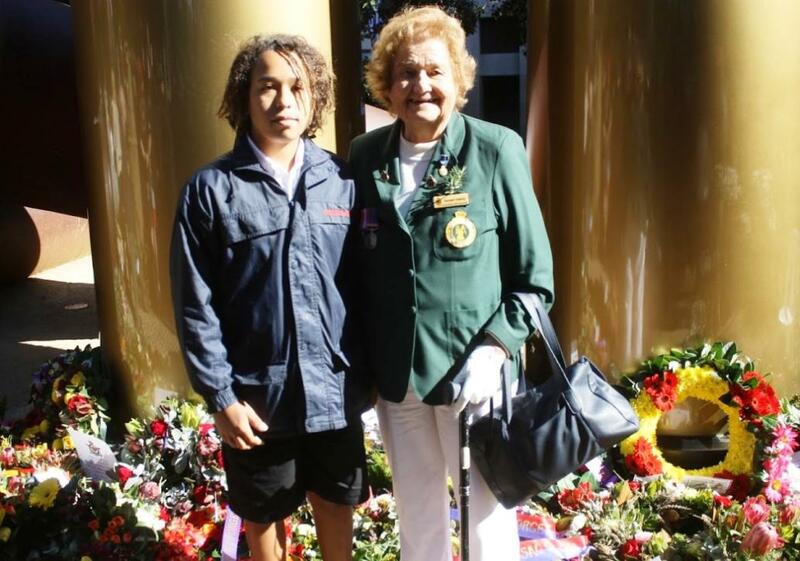 Barrenjoey High School's Oliver Wyatt with Doreen Cherry OAM, Womens Land Army Service WWII on Friday May 27th, who laid a wreath on behalf of the Women's Land Army at the Commemoration Service for Aboriginal and Torres Strait Islander Veterans At the YININMADYEMI: THOU DIST LET FALL Indigenous Artwork adjacent to Hyde Park ANZAC Memorial - this is after the Service. 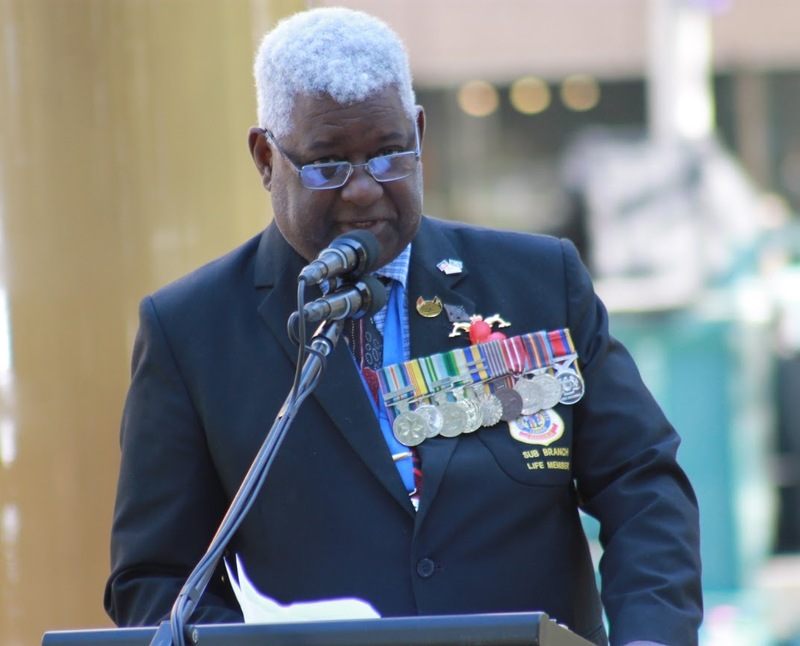 The 10th Commemoration Service for Aboriginal and Torres Strait Islander Veterans was held on Friday May 27th. The date for this year's Service fell on the commencement of Reconciliation Week and the anniversary of the 1967 referendum, when Australians voted overwhelmingly to amend the constitution to include our Indigenous people in the census and allow the Commonwealth to create laws for them. "During Reconciliation Week this year the service of our Indigenous men and women past and present will be showcased and shared at various Defence locations in line with this year’s theme of ‘Our History, Our Story, Our Future’. "The Defence Force is engaging with the current generation and communities to promote leadership and employment opportunities. In line with Reconciliation Australia’s themes of Relationships, Respect and Opportunities, the Services Reconciliation Action Plan is going to double the number of Aboriginal service men and women serving in our Defence Forces. It will fly the flags of the Aboriginal and Torres Strait Islanders on every Defence establishment. On the entry signs to Defence bases the Traditional custodians of the land will be recognised. New pathways will be opened for serving men and women to reach higher ranks. Now, why do I list all those? – Sacrifice and Service must be responded to. Sacrifice and Service simply cannot be written in black and white in the history pages, we need to respond to it, and this is one way of doing this." 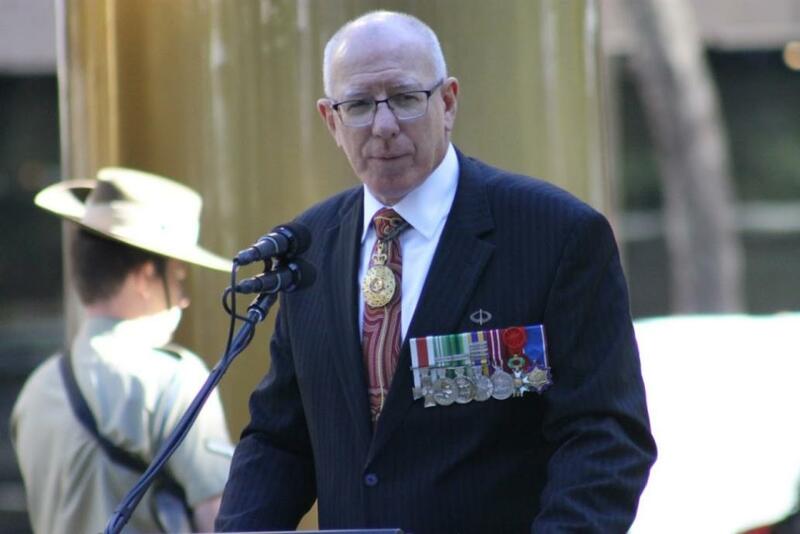 Mr David Williams, President NSW Aboriginal & Torres Strait Islander Veterans & Services Association, gave the 2016 Veteran’s Address. The Commemoration Service for Aboriginal and Torres Strait Islander Veterans commences with a Traditional Smoking Ceremony. The smoke covers the bodies of the ceremony’s participants purifying them as well as cleansing the surrounding area. 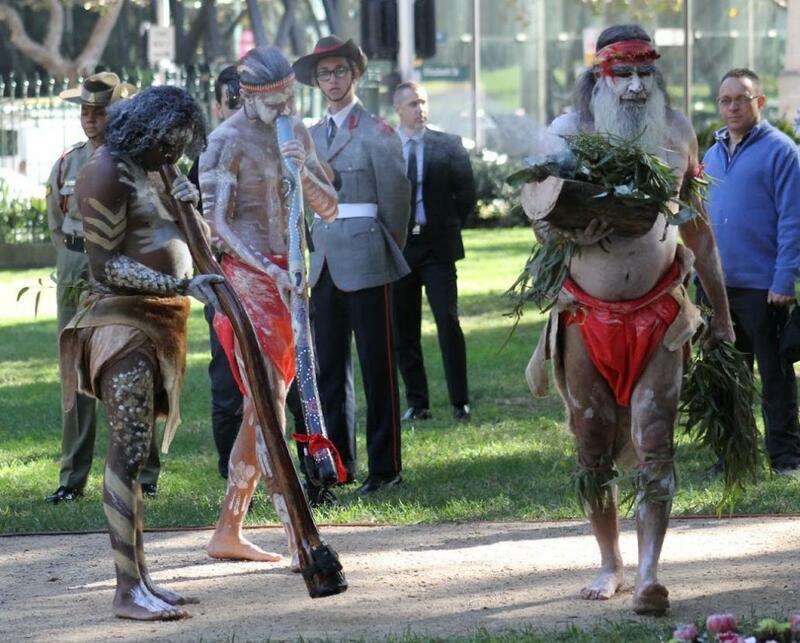 The Ceremony was conducted by Uncle Steve Williams, with didgeridoo played by Leon Burchill and Deacon Hunter. Opening the June 2016 Profiles and featuring as the June 2016 Artist of the Month is Avalon Beach's Isabelle Wise. Belle took part in the Wombat Books Illustration Challenge held last year after an author visit to Maria Regina Catholic Primary School at Avalon in 2014. The Wombat Books Illustration Challenge was established in order to provide aspiring young illustrators with the opportunity to be published in a professionally produced children's book and gain an introduction into the world of illustrating. Two of Isabelle's works were chosen. Now studying at Mater Maria Catholic College, Warriewood, this wonderful and talented teenager provides us all with an inspirational look into what’s great about the next generation of our local young adults and shares a few Illustrations and more current Artworks in her first solo 'online' exhibition! 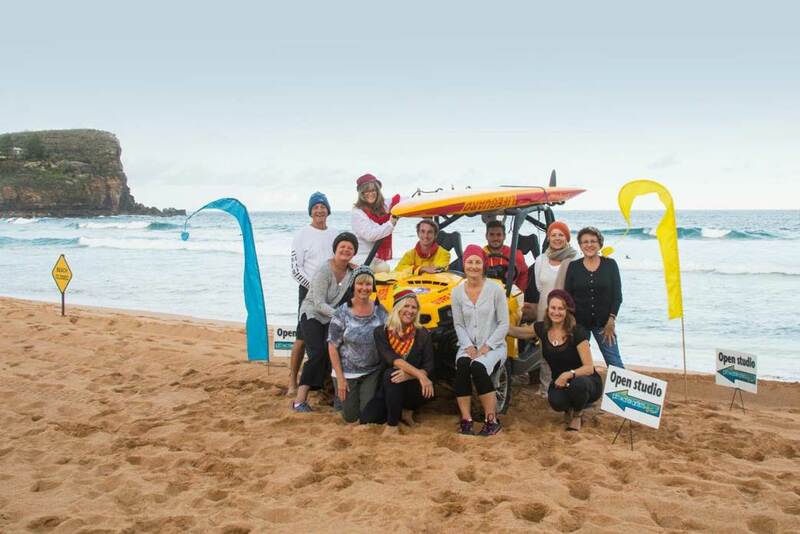 The Avalon Beach IRB team is working hard in the quest toward the State Championships in July. With a great legacy of IRB development and racing at the Club, our relatively small team has a history of punching above their weight against some of the much larger and better resourced teams. Avalon Beach SLSC 2016 IRB Premiership Teams in Action at Terrigal - photos by Richard Cole, 2016. 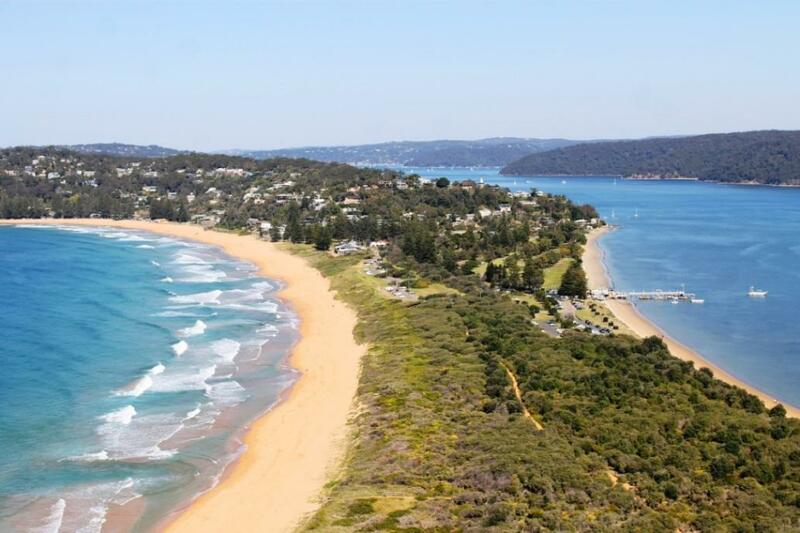 The annual Pittwater Artists Trail Winter Exhibition will be held at the Avalon Beach Surf Club supported by The Avalon on the Beach Restaurant Friday evening 3rd June through to Sunday 5th June. This year's exhbition will also feature a raffle in support of Pittwater Artists Trail and Mona Vale Hospital with the big prize being the ultimate art hamper – complete with Trail goodies from painters, printers, glassmaker and ceramicists as well as an art class! Opening night is June 3rd (5-8pm) - don't miss it - and don't miss out on those raffle tickets - on sale all weekend. 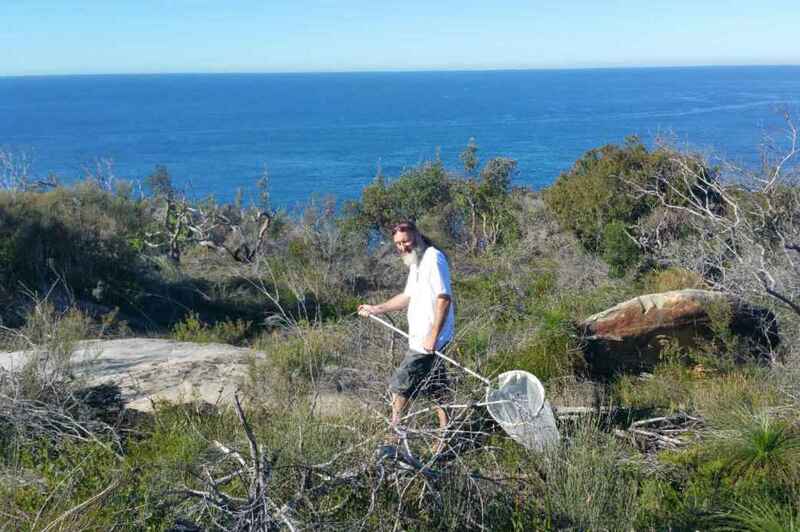 Adam Fletcher (from Woy Woy) on the job sweep netting at Bangalley headland, Avalon as part of a Pittwater Council field trip. Project Maratus was working closely with the council in monitoring biofauna - photo by by Michael Doe. 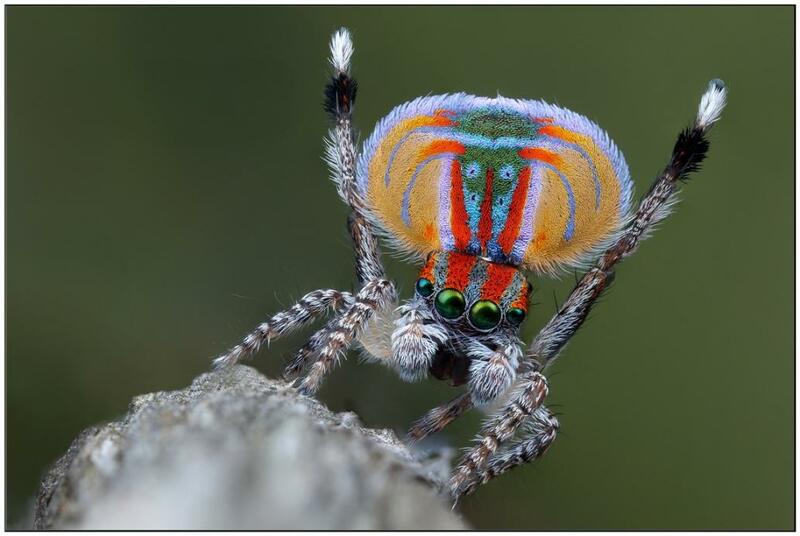 Project Maratus is a not for profit self funded group undertaking and promoting research into the iconic Australian Peacock spiders. These spiders are "Australia's mini birds of paradise" with their intricate often flashy courtship rituals. Little is known about their status in Australia's environment. We are the first coordinated approach into investigating their distributions throughout Australia and the habitats they depend upon. This information plays a vital role in understanding their evolution and ecology in our environment. Australia should embrace the peacock spider as a natural wonder of it's rich and diverse environment. Their courtship interactions are truly unique and this interesting behaviour is the focus of unlocking many future scientific discoveries in communication and signalling in species. This is a mammoth commitment by our small group often involving many 1000s of km's of driving at a time from habitat to habitat and weeks away from home. Our dedication and passion for the natural world is what drives us. This Spring aims to be a busy one packed with travel plans and we will aim to keep you updated from the field with new and exciting discoveries, stay tuned. We will keep producing and bringing you these exquisite photos by our talented extreme macro photographers so you can catch a glimpse of these cryptic natural wonders. Thank you for all the support from our followers and supporters. Keep providing that locality information and drop into one of our presentations if we are ever around in your area. We are always looking for sponsorship opportunities so if you or anyone you know has any ideas to help us out please drop us a message. The group has now mapped the spiders in the Sydney Basin but would like to hear from people further afield - please add your photos to the Facebook page. They will be heading to Western Australia this Spring. Have you seen Maratus the movie? Produced by Simon Cunich and featuring the life of Citizen Scientist Stuart Harris and his quest to re-find a spider. Thoroughly recommend this to anyone who enjoys and inspirational, life defining story. Don't miss out, book now. 75 years after it was built, Jack 'Bluey' Mercer reopens the old foot track to the guns he helped install at West Head Fortress. The Army salutes Bluey, as do all of us. 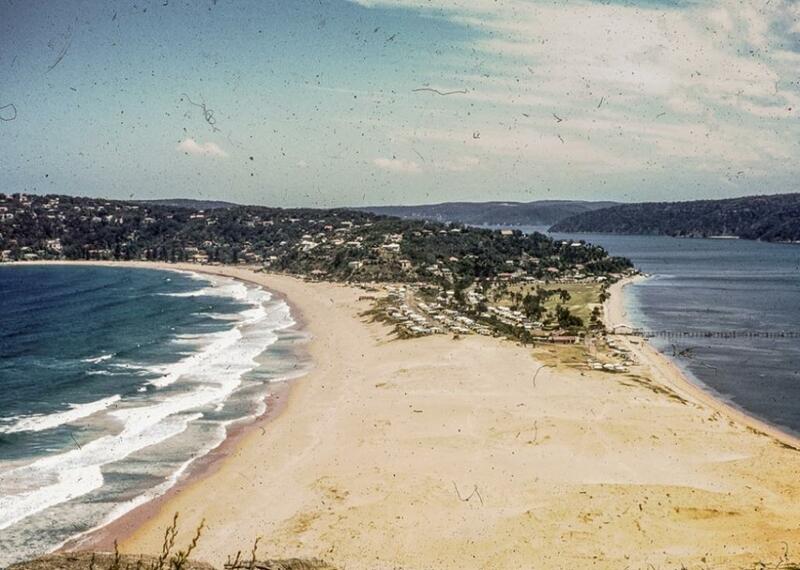 The same aspect, from Barrenjoey Headland, today - Photo by A J Guesdon.